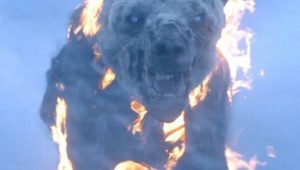 It was a milestone moment for Weta Digital winning its first Emmy for outstanding special visual effects for its work on a zombie polar bear at the Creative Arts Emmys this month. 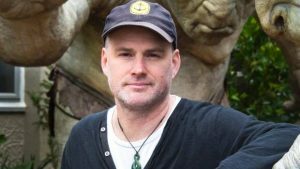 Weta Digital’s visual effects supervisor Wayne Stables told Mike Hosking it’s an important step to help get them into the television market. “The best way to be seen and be part of it is to be constantly seen moving forward and the best way to move forward is to get an award”. Wayne Stables of WETA Digital. Snow & Co. encountered the menacing zombie polar bear in the ‘Beyond the Wall’ episode in which it was on screen for five minutes. Showrunners David Benioff and D. B. Weiss had been trying to get the bear into the series for several seasons. For the first time creating VFX for television, Weta Digital became involved in “GOT” to work on the bear. The team of 20 artists worked on a convincing reanimated polar bear that still retained its basic look and behavior. Weta Digital created this frightening zombie polar bear that aired on Game of Thrones, season seven. With its epic battles and CG dragons, HBO’s Game of Thrones on Saturday night won a remarkable sixth Emmy for outstanding special visual effects. On the strength of the show’s “Beyond the Wall” episode, Emmys in VFX were awarded to Joe Bauer, overall VFX supervisor; Steve Kullback, VFX producer; Adam Chazen, VFX associate producer; Michelle Blok, previs lead; Sam Conway, special effects supervisor; Ted Rae, VFX plate supervisor; David Ramos, VFX supervisor; Wayne Stables, lead CG & animation supervisor; and Derek Spears, lead CG supervisor.